"One of the most impressive things about SilverWood Books is that the process is so well worked out and presented so clearly by the team from the get-go. After my first video call, I felt totally comfortable in their hands. It turns out that my gut instinct was right. What they do exactly replicates what you’ve been told will happen. They give a scheduled timeline showing each stage in the publishing process, with some flexibility for you to choose how fast or slow to go. I looked at the package on offer, trusted them, but have been amazed that they have exceeded all my expectations in producing a book I couldn’t have dreamed of." After meeting his wife, Edward Evans moved to Tel Aviv to start a new life, editing, teaching and, finally, helping care for his two daughters. Edward already had a BA in Ancient History and an MPhil in Oriental Studies from Oxford University. He found that writing fiction gave him a way to articulate his experiences of moving abroad in story form. Over ten years ago, Edward wrote his first novel but found it difficult to place, even with an agent, because editors felt the subject matter didn’t really have a market. To improve his writing, he decided to do an MA in Creative Writing at Bar-Ilan University, where he wrote a selection of short stories, and again found an agent based back in London. However, by the time he got around to beginning work on Radio Tel Aviv, he had become quite sceptical about the traditional publishing industry, especially regarding both the type and focus of the fiction he was interested in writing. He says, "My well-respected professor, Israeli author Matan Hermoni, advised me to forget about what was marketable and just to write to the extreme of what I was interested in writing." After finishing the manuscript, Edward got plenty of positive feedback from his professional and university peers. The story of Dr Israel Shine charts a man’s life as he recalls it through the sound of 14 tracks. It is a tale of obsession for a woman, a city and the radio. Edward found another publishing agent in London for Radio Tel Aviv but the same problems came up at the editorial level with them saying the subject matter would make it difficult to place. His agent was so confident of the quality of the work, she suggested he consider self-publishing as the solution to get the book out there. After considerable research into self-publishing, he found SilverWood Books and, taking a closer look at their published novels, started to realize he had found what he had been looking for. He emphasises, "What impressed me very quickly was the quality of their publications; it was self-evident just from the cover designs and, when I explored the look-inside function on Amazon, the interior typesetting looked professional, the standard of writing was high and clearly well-edited. I was immediately drawn to SilverWood, wrote off to them and very quickly got a kind and amiable reply. After my experience with the traditional publishing industry this was a wonderful and welcome surprise." From the first conversation with Helen and the team at SilverWood Books, Edward appreciated and enjoyed the way they connected so well with what he wanted for the book. They made it clear which edits were necessary for the readers’ benefit and which were more a matter of personal preference. He recalls, "By the time I approached SilverWood, my book was close to publication standard because it had been through professors and an agent. I wasn’t convinced it needed it, but SilverWood Books did insist on a final line edit. The quality of their proofreading was fabulous. Even that 1% shift of basic syntax and other cosmetic changes made a huge impact on the final outcome." SilverWood Books offered a full range of publishing services, with the interior look and feel, typesetting and cover design an important differentiator for their services. 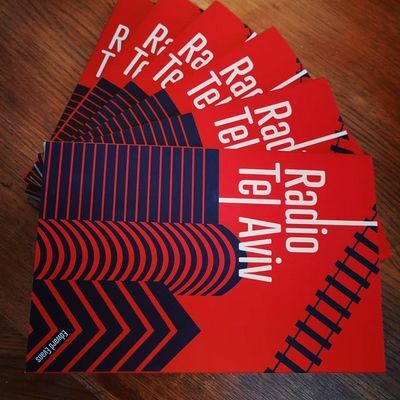 Edward remarks, "When I first saw their cover design for Radio Tel Aviv, I was totally blown away. It entirely replicated the mood and the content of the book. People say when they see their child born they feel they’ve always known them; that’s how I felt when I saw how SilverWood Books had interpreted what I wanted for my novel, it was somehow how I had always imagined it, and it was perfect." The story of Dr. Israel Shine reflects some of Edward’s experiences of falling in love and living in an unfamiliar place but is first and foremost a historical memoir, dealing with a man growing up in the early days of the State of Israel, the Yom Kippur war, memories of the Holocaust, and more recent Israeli history. It reframes these glimpses into the Israeli soul by putting them track by track into musical memories. Edward was overjoyed to launch the book on 6 June 2018. The reception of the book has been hugely positive. Sales continue to do well, despite the niche market, and by sending out copies to some leading influencers is beginning to gain traction in the wider market. On March 3 2019, he has been invited to speak about his novel at Jewish Book Week in London. As the next step, Edward is getting the book translated into Hebrew, Polish, French and German through Bar-Ilan University. Edward wasn’t aiming for wide distribution in UK book stores, however, since he sees his writing more as a slow burn alongside his doctorate, gaining a following by word of mouth. However, he is hoping for distribution in Israeli bookstores and has a distributor who has agreed to work with him. Edward Evans has a BA in Ancient History and an MPhil in Oriental Studies from Oxford University, and an MA in Creative Writing from Bar-Ilan University. He is currently working on his doctorate. He lives in Tel Aviv with his wife and two daughters.